The tradition continues...the fact that it takes me a few weeks for post a TR. My mother-in-law was visiting, so it didn't help. Can-Am National Holidays – July 1 & 5 2014 : World Cup, Humidex 106 & Still Sick!!! – Avoiding wildlife at 75mph like the giant moose standing in middle of the interstate. Plus a fox and maybe even a grey wolf running across the car. – Safety was an issue even before I started skiing, especially that I wasn’t even carrying a gun. This is New Hampshire, with the odd grey wolf and firearm carrying citizen. I didn’t get a reaction in Canada: it was just child play. People were climbing the hill in bathing suits to go tubing and didn’t notice us with our skis. I was even told before my July 1 trek if 40+ celsius with humidex wasn’t too hot to go skiing? No, it was one more reason to find some snow. Definitely cooler than playing World Cup football in the Brazilian tropical heat. Both adventures were greeted with some disappointment at the speed in which the snow had melted since the last pictures were taken of both places. Click link to continue to read and see more pictures. 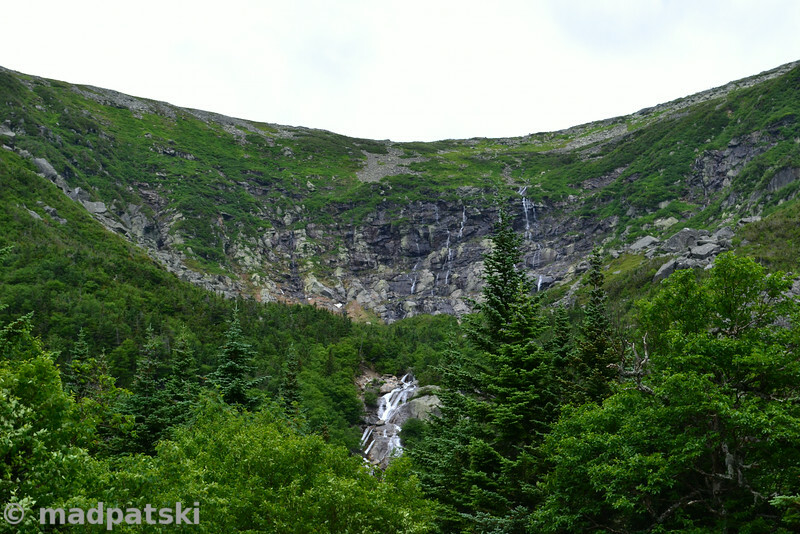 Where is the snow in Tuckerman? No patch is too far, nor too small!!! Patrick wrote: It is time to hop on a plane if you want to continue this game into August!!! Chillan has 71-94 inch base with 29 inches past 3 days. Corralco and Pucon have quite a bit of snow too. Other regions in SA are unfortunately still marginal from what I can tell: base depths under 3 feet at the end of July. NZ's season is very bad so far. 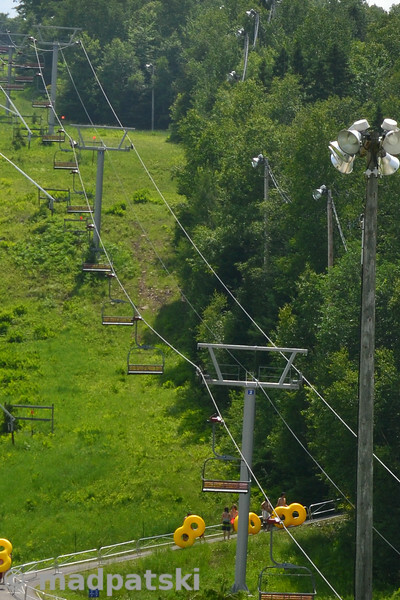 Maybe better to save the $ and just do Timberline again for 2014. Why go to the trouble and expense of a S.A trip..Go to Rainier , hike 3 hrs and ski to your hearts content..
By August/Sept the snow on Rainier is probably quite ugly unless you get up pretty high. May-July is prime time for the Cascade volcano backcountry, as I experienced on Shasta in 2011 and Patrick and I together in 2012. The plan is already made for August/September turns. I'm flying on points to PDX on August 27. I didn't managed later, so I'll have an extra 2-days compared to last year. Labour Day is on September 1 and end of everyday operations at Timberline...the drive back in town for my flight was a bit stressful due to traffic heading back to town at the end of a long weekend. I'm flying back the next day (in case I can't ski on September 1). I might try to do some touristy stuff with the extra days (Ocean, St.Helens?). Actually I'm hoping to finally get ride of my health issues for next Summer. - New Zealand has been on a very short list after 2012. - South America : I would like to repeat my 2009 trip and get some new pictures from Santiago-Penintentes-Mendoza-Lenas that disappeared with my gear with a BA fake taxi driver. - Other places in the Andes like Cerro Castor, Antillanca, Corralco, etc. - My mother-in-law would like us to come to France next year and we would potentially combine it with a stopover in Iceland or Ireland, however that wouldn't cover September due to school. - Thinking of the possibility of a quick solo trip at the end to get my turns. I know there are a few indoor ski areas, but I'm thinking outside the box...going a bit of research on Norway. Tony or anyone else, what do you know about the prospect of late August/early September European turns outside the Alps? I've gone some research on Iceland a few years back and they seem to no longer have Summer liftserved skiing. There seems to be one ski area in Norway that still spins? Opinions? Also, possibly thinking of a special milestone birthday ski outing....I was maybe thinking Montana, but I would have to get back for my daughter's graduation. Stryn is the place I had heard about before but it runs only to mid-July. 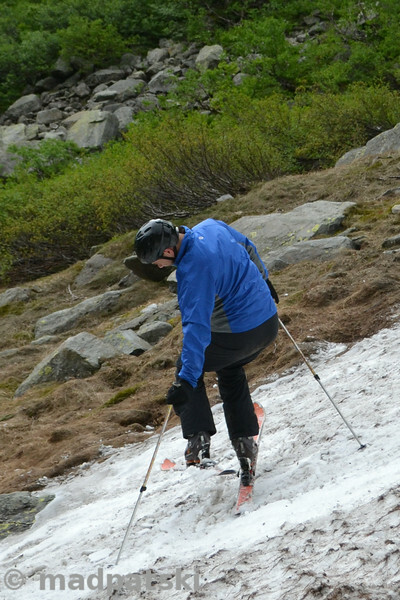 The Galdhøpiggen Summer Ski Center is usually open from May to the end of October. Norway is supposed to be nice but it's one of the most expensive countries in the world. I will be in Iceland next March, expect to ski a day at Hlidarfjall, the largest lift service near Akureyri. Elevation range is 1,555-3,133 ft; Google Earth view (presumably summer) shows no snow there. Your birthday is in the middle of Beartooth Pass' short lift served ski season. As I've said before, it's great stop for a day or 2 on the way to Yellowstone. Yes, I saw Galdhøpiggen earlier this week. The research has started now...just for fun, but Norway is also on some list. Iceland is also pretty expensive. Yes, that is what I thinking. Montana with Yellowstone to Rushmore would be interesting. But I would also like to see where else I would like to go for the milestone? There is also something crazier that could be fun - I just need to figure what I can do. 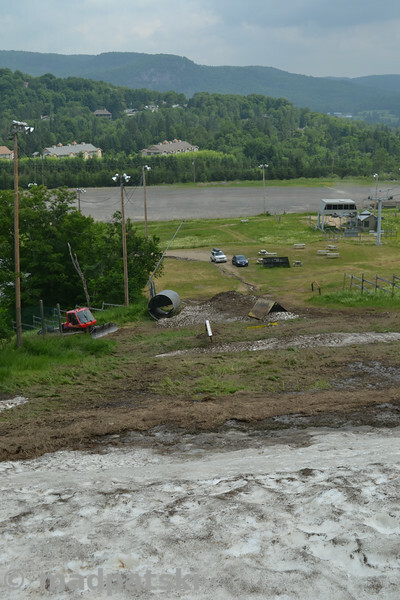 :) There are a few ski areas in Northern Europe that might spin into mid-June (Norway, Sweden? and Iceland? ).